In my work as a playwright I try to envisage the shifting of global realities. During the financial crisis, around 2007, I travelled a lot and witnessed not only the dwindling confidence in the supposedly successful model of western democracy and economy but also the optimism and strength of social movements everywhere. On a large scale, I am interested in economic upheaval, migratory movements and changing cultural identities. On a small scale, I try and observe the attempts at and failures of solidarity in various situations. I am particularly fascinated by the birth of movements towards different forms of co-existence, both historically and today. The rise of right-wing populists and the extreme right, in my country too, has been a major influence on most of my works of the last years. See below all the activities involving Kevin Rittberger in the frame of Fabulamundi. 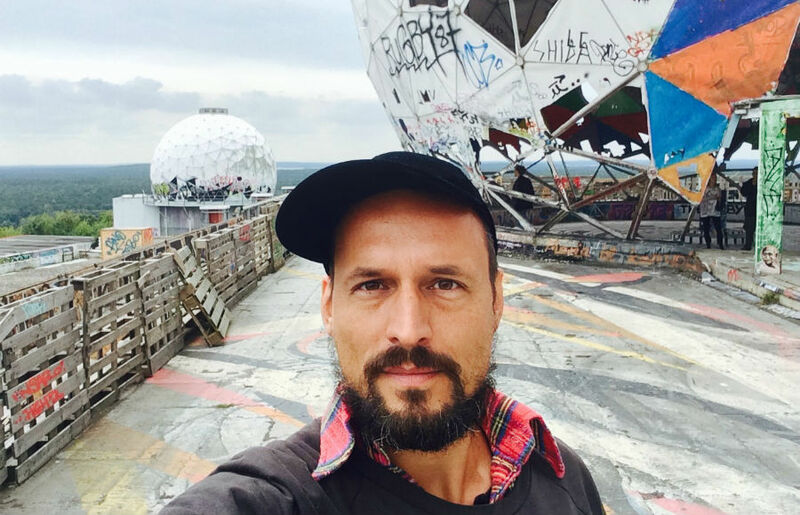 Born in 1977 in Stuttgart, Kevin Rittberger is an author, director and curator. He lives in Berlin. He studied contemporary German literature, journalism and communication sciences at Freie Universität Berlin. His productions have been premiered and staged at Staatstheater Stuttgart, Schauspielhaus Vienna, Düsseldorf Schauspielhaus, Residenztheater Munich, Deutsches Schauspielhaus Hamburg, Deutsches Theater Berlin and Schauspiel Frankfurt. In 2009 and 2014 he received scholarships from the German Literature Fund; in 2010 he was awarded the Akademie der Darstellenden Künste’s prize for best director for his production of Dietmar Dath’s novel “Die Abschaffung der Arten” – premiered at Deutsches Theater Berlin – and “Nachrichten aus der ideologischen Antike” after Alexander Kluge – premiered at Deutsches Schauspielhaus in Hamburg. His drama “Kassandra oder Die Welt als Ende der Vorstellung” was nominated for the Mülheim Theatertage 2011 and translated into five other languages. In 2012 he received the Jürger Bansemer & Ute Nyssen Playwright Prize. With the support of the Goethe Institute, he travelled to Chile for research purposes in 2013, and directed the world premiere of his play “Mulian rescues Mother Earth” at the Taipei Arts Festival in Taiwan in 2014. Since 2015 he has published works of theory and lectured at the August Everding Theaterakademie in Munich, the Hochschule der Künste in Zurich (ZHDK) and the Hochschule für Schauspielkunst Ernst Busch. On the coasts of Southeast Europe, a drama is played out every day: Refugees from Africa are stranded there, half-starved and thirsty, in completely overcrowded boats, having come in the hope of leading a dignified life in Europe. Many go through year-long odysseys only to be sent straight back again. And they are the lucky ones, because they are still alive. Nobody knows how many unnamed people set off, undeterred by the warnings, and die in agony on the way. That is what KASSANDRA OR THE WORLD AS THE END OF THE SHOW is about. But it is also about the difficulty of doing justice to this subject as a European. How do we write about it, report on it? What do we even know about it? And what do we want to know? In this play, Kevin Rittberger looks for answers in changing perspectives and narrative forms: There is a Brechtian Lehrstück about the moving circumstances of one person’s flight, there are authentic interviews and fictional interrogations, and there is the story of two journalists and a translator who push themselves to their own utmost limits in their struggle to find a “new vantage point”. DOLLS is a surreal, polyphonic sounding box featuring, alongside Klandestino, the woman who gets a fainting attack, the hairdresser with an all-over sunburn, the butcher standing behind a counter without any meat, and the choir that abolishes work. The play’s nine scenes contain absurd, skewed and fragmented dialogues that are free of social realism but nonetheless have an analytical edge. This is a grotesquely shot-through review of the social and economic situation; an invitation to dance- and music-theatre.